Also honored were College of Engineering alumnus John Titterton ’91, who received the Outstanding Educator Award for his work as a math teacher, and longtime Morris Inn bartender Patrick "Murf" Murphy, who was given honorary alumni status. 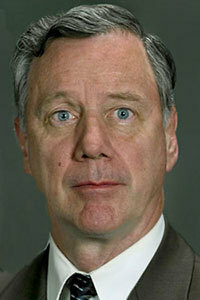 Thomas E. McNamara, class of ’64 M.A., received the Rev. John J. Cavanaugh, C.S.C., Award, which recognizes an alumnus or alumna who has performed outstanding service in the field of government, patriotism, public service or local, state or national politics. McNamara was presented with this award in recognition of his years of dedicated public service and commitment to keeping the world safe through diplomacy. A career diplomat, McNamara served as the United States ambassador to Colombia from 1988 through 1991. He also held postings in Russia, Congo and France. He left government in the late 1990s and served as president and CEO of the Americas Society and Council of the Americas in New York from 1998 to 2001. He returned to government service following the Sept. 11, 2001, terrorist attacks at the request of the secretary of state, who tapped McNamara to serve as senior adviser on terrorism and homeland security. From 2006-09, he was program manager for the Information Sharing Environment, a senior position reporting directly to the president of the United States. He also has served as assistant secretary of state, special assistant to the president, ambassador for counterterrorism, special negotiator for Panama, and in other senior positions. McNamara is currently the president of the Diplomacy Center Foundation, a not-for- profit partner of the Department of State that is building the nation’s first museum and educational center completely devoted to American diplomacy. 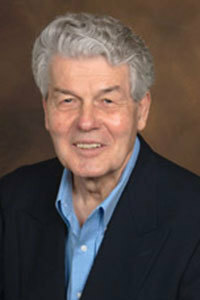 The Harvey G. Foster Award, conferred on an alumnus or alumna who has distinguished himself or herself through civic or University activities, was given to Joe Échelle, class of ’62. Échelle was honored with this award for his pioneering spirit to bring soccer to Notre Dame and help it spread throughout the United States. He went on to a distinguished career as an executive in professional soccer. He served as the general manager of the Dallas Tornado, the Denver Dynamos and the Caribous of Colorado. At the national level, Échelle oversaw sales for the Bicentennial Soccer Cup, a mini-world cup in six cities. He was promoted to director of club services for 24 teams and was named president of the American Soccer League Management. As a consultant, Échelle handled the strategic marketing plan for the U.S. Soccer Properties National Teams in preparation for the 1994 World Cup staged in the United States. He continues to offer sports and media consulting services. Retired Col. Martin Mahrt, class of ’55, received the Rev. William Corby, C.S.C., Award, which honors an alumnus or alumna who has distinguished himself or herself in military service. Mahrt was honored with this award in recognition of his decades of distinguished military service. Mahrt was raised in Custer, South Dakota. 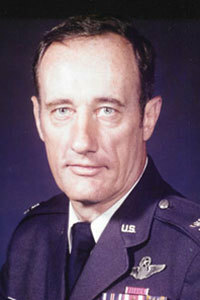 After graduating from Notre Dame, he married Colleen, his high school sweetheart, and entered the Air Force. His first tour in Vietnam ended in a miraculous rescue after his plane had been shot down deep in enemy territory. Mahrt received the Purple Heart for his injuries. On his second tour, he participated in the evacuation of thousands during the fall of Saigon. During Mahrt’s next assignment, he launched the prestigious realistic combat training program for American fighter pilots and our allies. He became the first Commander of Red Flag at Nellis Air Force Base in Nevada.